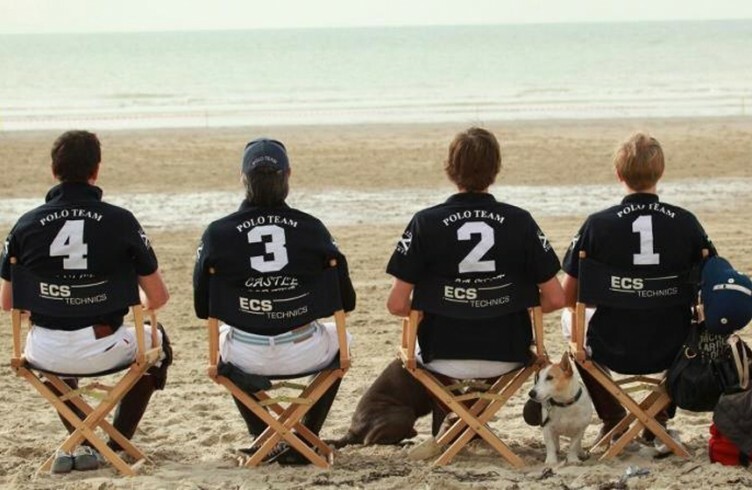 A polo team is made up of four polo players. The four players on each team are assigned positions, designated by the numbers from 1 to 4 and worn on their team jerseys. The Number 1 is a forward, and attacking offensive player. The Number 1 is responsible for scoring goals, he is also expected to “ride-off: the opposing defensive player allowing a trailing teammate the opportunity to score. In addition, the Number 1 must remain out in front of the alignment even when the ball does not come forward (because inevitably, the moment a player turns around and goes back for the ball, it will be driven forward, catching him out of position). At the same time, he must also bear defensive responsibilities for the opposing Number 4 player. The Number 1 should be an accurate hitter and concentrate on scoring opportunities. The Number 2 is also primarily an offensive player who is expected to be able to turn quickly and follow the lead of the Number 1 in order to be in position to pick up a drop pass or take advantage of a missed or blocked shot -he would be considered a wing in other team sports such as rugby or football). He should be riding the best ponies as he will be covering a whole lot of ground during the match. He is usually one of the top two players of the team. He has the defensive responsibility of the opposing Number 3. The Number 3 attacks the opposing offense and turns the ball upfield, usually with a pass ahead to his Number 1 or Number 2. He his the pivot of the team and creates the game by sending the ball to his teammates. The Number 3 will also help in defense, taking responsibility of the opposing Number 2 or offering defensive support to his teammate Number 4. The Number 3 must be able to hit long shots very precisely and also have great hand-eye coordination allowing for the deft control of the ball. The Number 3 is usually the highest ranked and most experienced player of the team. The Number 4 or “Back”, as he is often referred to, is the most defensive-minded player on the team. His responsibility is to defend his team’s goal and he should be able to turn opposing shots at goal aside, or completely reverse the direction of the game from defense to offense with a powerful backshot. When opportunities arise, the Number 4 might also carry the ball forward, passing the Number 3 and/or Number 2 for a shot at goal himself, but his main responsibility remains defensive in nature. His opposing player is the Number 1. These roles are flexible, during a game, players will interchange positions until they have the opportunity to return to their place on the field. Properly employed, the ongoing interaction between the players would look like a wheel, with players interchanging places with one another along the length of the field. 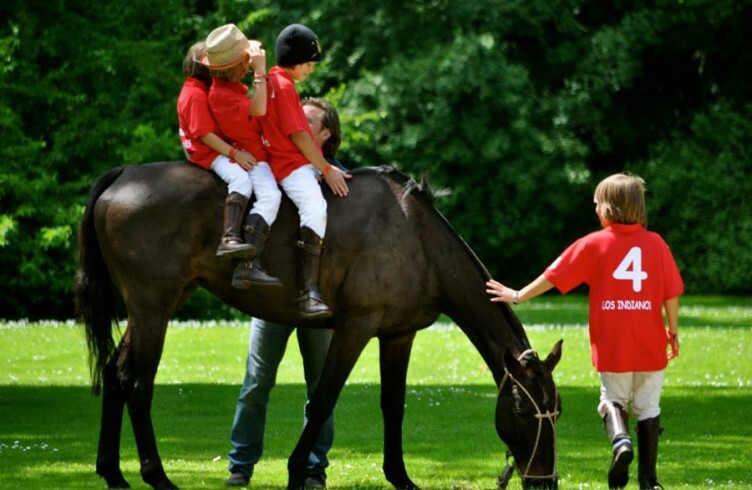 As important as scoring might be in polo, the opposing player is always the number one responsibility. The game follows the mantra of “man, line, ball”. In other words, a player should focus first on the “man” -the opposing player- and then on the “line” of the ball, or the right-of-way (which in many cases determines infractions if it is crossed by an opposing player). Finally, the ball comes into play. Because of these priorities, you will observe the opposing players riding in pairs, side by side, up and down the field.